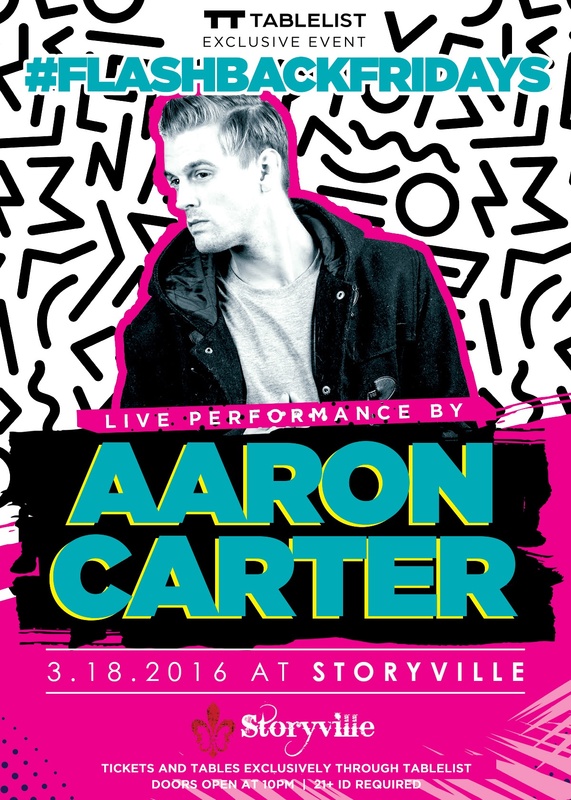 Don’t miss the chance to party with 90s superstar Aaron Carter! Performing LIVE, you’ll hear songs like Aaron’s Party, I Want Candy and That’s How I Beat Shaq. Aaron Charles Carter is an American singer. He came to fame as a pop and hip hop singer in the late 1990s, establishing himself as a star among audiences during the early-first decade of the 21st century with his four studio albums. Tickets and VIP tables available now! You went wild with us at Chingy, and now Tablelist is bringing another throwback start straight to you. Performing hits like Aaron’s Party, That’s How I Beat Shaq and I Want Candy, this will be a 90s night for the history books. Book your ticket through the app. Show up to the venue and show them your ticket – found under the Bookings section of the app or via link in your confirmation email. This event is part of the Boat Crusie Summer Series which is excusive to Tabelist. Click below to book your ticket. We’ll see you at sea!